B arwidgeee Homestead offers four Suites, each with their own bathroom, LCD Television, DVD, clock radio and iPod docking station are fully air conditioned. 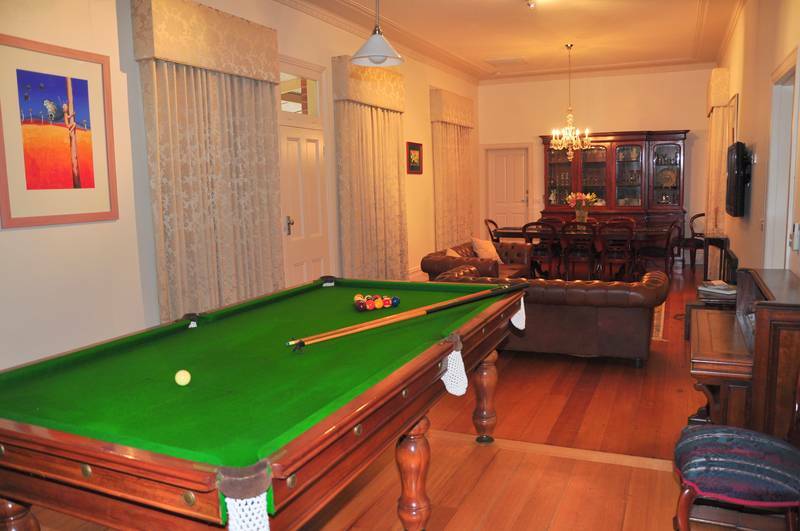 Other amenities include a large reception and dining room with pool table, fireplace and comfortable Chesterfields, a separate guest sitting room with coffee/tea facilities and bar fridge, toaster, microwave oven, a formal courtyard, wide verandahs, swimming pool, a covered BBQ area and lovely gardens. 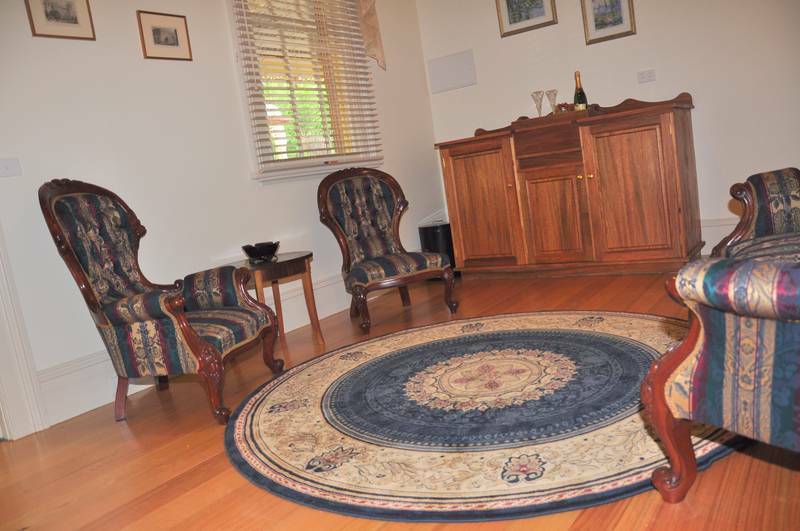 This room is in the northern wing of the homestead and features antique chairs and a chaise lounge. A purpose built sideboard allows for guest to make their own tea, coffee or a light snack. It has a built in sink, microwave, toaster and bar fridge for guest use.